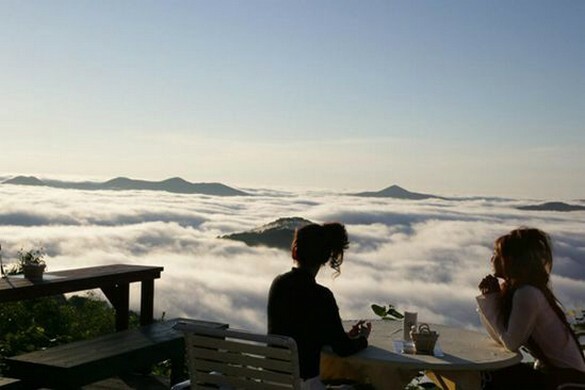 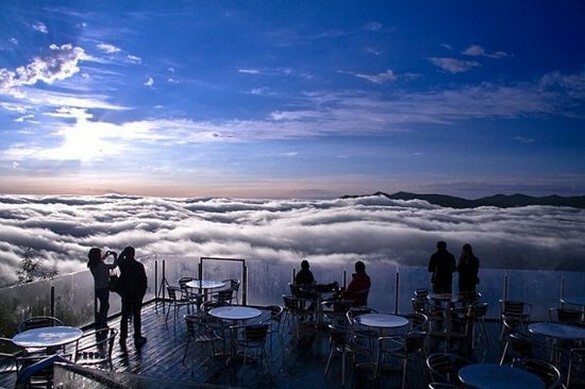 Unkai Terrace, a beautiful place above the clouds located in Japan's Tomamu Resort, on the island of Hokkaido. 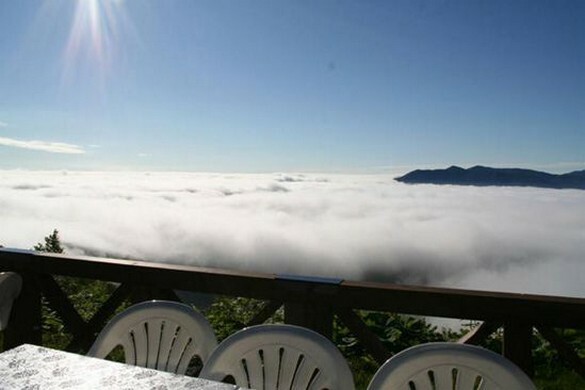 On clear days, you have to take a gondola ride up to the terrace at around 4:00-5:00am to catch the clouds in action - the last gondola ride up is at 8:30am. 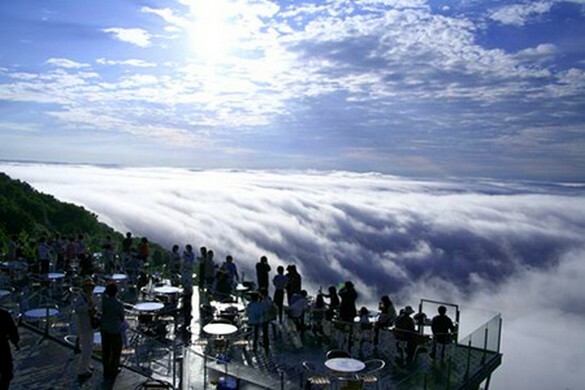 Unkai Terrace is open for tourists during the summer up until late September. 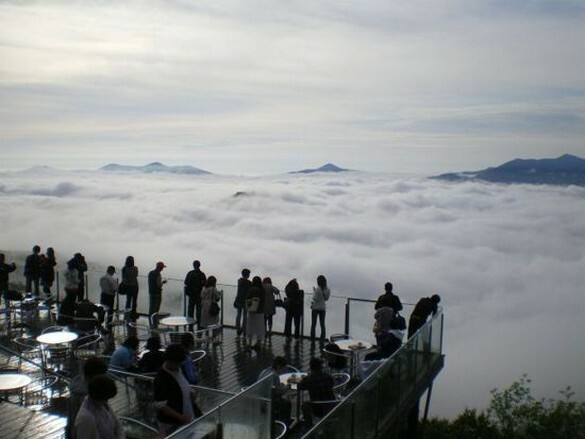 Unfortunately, on cloudy days, the entire scenic spot is engulfed by thick fog, but trekking the winding mountain slopes is still an option.